What a great place! We happened upon this place and couldn't have been more pleased. They even have 2 tiled floor rooms for travlers with pets! 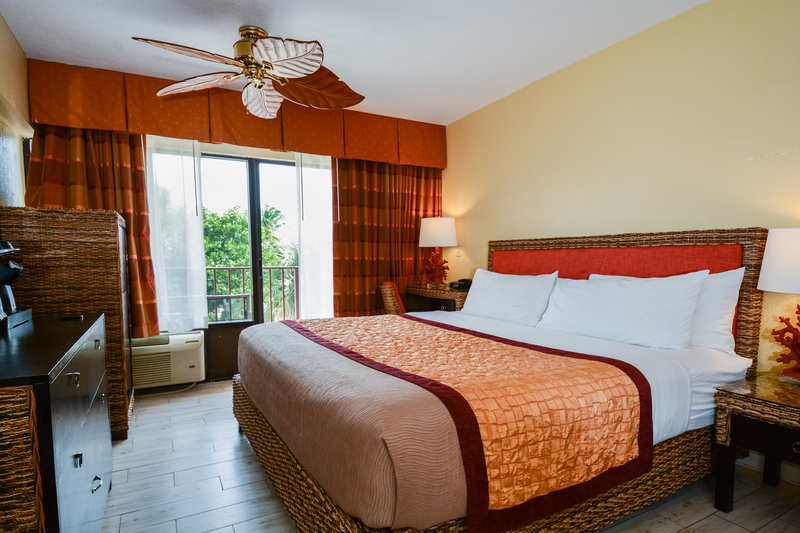 A soothing tropical atmosphere with beach access draws guests from all over the world (including the likes of Kenny Rogers, Willie Nelson and Barry White) to the Royal Inn Beach Hutchinson Island in Fort Pierce , Florida. 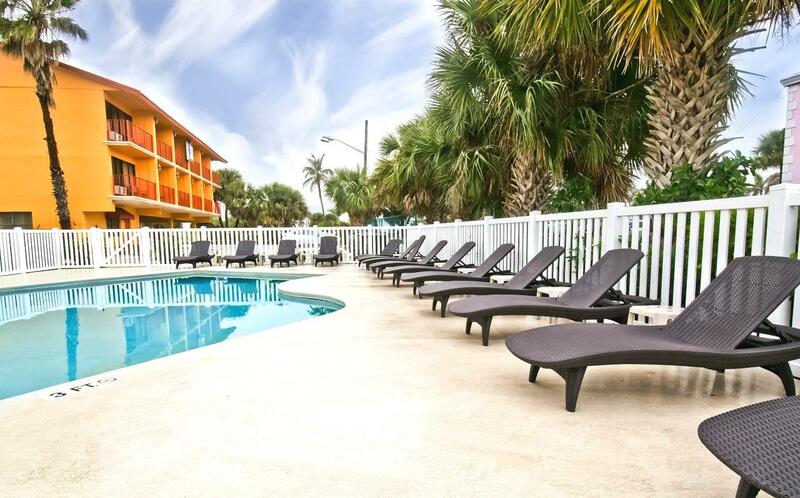 Directly across the street from the sandy beaches and the turquoise waters of the Atlantic Ocean, these renovated accommodations are also conveniently located within walking distance of the Fort Pierce Inlet Jetty Park and it's 200-yard long Jetty as well as numerous entertainment spots, late night restaurants including the famous Archie's Seabreeze, Jetty Lounge, Hurricane Wings & Grill, Blue Ocean Grill, Mangrove Matties and many others. . The Royal Inn Beach Hotel underwent a full furniture and fixtures renovation to the entire hotel including guestrooms, 2 bedroom suites, lobby, breakfast area, patio & pool in 2016/2017. The furniture was imported from Thailand and is made of hand woven rope rattan. The hotel offers ocean view and sunset view guestrooms, all with private balconies, with either a king or two double beds. The Royal Inn‘s room amenities include Keurig coffee makers, USB bedside ports, wood tiling flooring throughout, stainless steel refrigerators and microwaves, 32-inch flat HDTVs with 5 channels of HBO and free wireless high speed internet. Continental breakfast is offered daily. The hotel also has a business center and 24-hour guest laundry. The hotel also offers 700 square foot 2 bedroom apartment suites featuring Sealy Posturepedic Pillowtop double beds, a living area with dining table and sofa sleeper and a full-size kitchen with all cookware, dishware and utensils for those considering longer stays. The Royal Inn Beach Hutchinson Island provides covered van accessible handicap parking along with a covered ramp entry to the front desk. The property provides a 3 floor elevator with braille writing. Hotel room numbers also have braille writing. The ice machine, sundry, breakfast and public area handicap restrooms are located on the ground floor next to the reception and are all wheel chair accessible. Handicap Guestroom offers lower sink, grab bars by the toilet and multiple grab bars in the shower. Both the guestroom door and bathroom door are wheelchair accessible. Handicap room is also equipped with visual door knocker, bed shaker, visual fire/smoke alarm, and TTYL machines are available upon request in the room for guests to speak with the front desk via their TTYL machine. The pool is also wheel chair accessible with three ground level gate entries and a remote control powered pool lift is available for guest use. Handicap Room is bookable via online as well as by calling and/or emailing the front desk or call center. Please contact us if you have any further information. We offer daily, weekly, and seasonal monthly rates. Discounts are also offered to AAA and AARP members, Government & Military Employees as well as Negotiated Group Rates for wedding parties, family reunions, sports teams and the like. Whether you are just on business, visiting family, planning a group stay or looking for a relaxing getaway for two, the Royal Inn Beach Hotel’s luxurious features will exceed all your expectations!